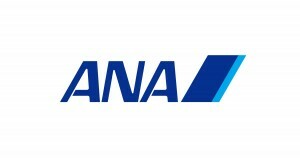 All Nippon Airways (ANA) announces the introduction of a new website “Japan Travel Planner” aimed to help travelers visiting Japan discover the beauty of the country by obtaining valuable travel information. The two informative current websites “ANA Experience Japan” and “Taste of Japan” were integrated into the new ” Japan Travel Planner” website which offers enhanced research and travel plan creation functions making it easy to find the best ways to get to sightseeing spots. By selecting a location and the desired traveling time, a recommended itinerary of the trip will be created and an option to make a reservation for an air ticket will be given. Through this new “Japan Travel Planner” site, ANA will introduce not only the most popular sightseeing spots, but also many hidden attractive locations throughout Japan, strongly contributing to the accomplishment of the Japanese government tourism target of reaching 40 million overseas visitors to Japan in 2020. ANA will continue enriching the lives of its customers through memorable and enjoyable moments that excite and inspire.